Do you treat the millennial customers in your DTC program differently than, say, your baby boomers? Do you segment them by gender and location? Have you identified spend patterns and varietal preferences, in order to customize your offerings to best suit their profile? I'll be totally psyched for you if you do. It would be an excellent application of analyzing data that you already own, and you'd be a few steps ahead of some wineries we've been talking to these past few weeks. You'd also be in the minority, in terms of maximizing your own data and in terms of communicating with millennials. How to do both of those things are questions that have come up for Enolytics again and again. We're gaining traction when it comes to helping wineries more strategically utilize their customer data (including data about millennials) and this week I'd like to share some strategies about the second question. How can we do a better job of reaching millennial wine consumers? And how can we sell them more wine? For a perspective on this, I'd like to welcome a guest contributor to Enolytics 101. Olivia Schonewise, a colleague and friend who I've come to know in the past year or so, piqued my interest because of her experience and intelligence, and also for her candor about the wine industry's lag in reaching the millennial demographic of which she is a part. I invited Olivia to speak to what we're doing wrong and, more importantly, how we can do better. Here are four things she'd like us all to know, followed by her ten suggestions that wineries can execute straight away. The wine industry doesn't understand consumers in their 20's, which is amusing because we are literally the most transparent generation of people in history. There are lots of questions being asked about millennials, like who we are, what we want, and how to get us to buy wine. There aren't a lot of good answers yet, probably because the people trying to answer the questions are not, in fact, millennials. 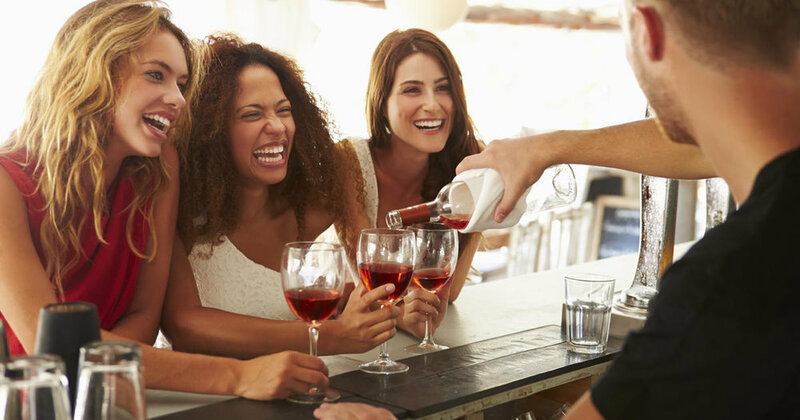 Wine brands are not meeting millennial consumers where we are. That, in a nutshell, is the disconnect between millennials and the wine industry. If you’re unsure of where to start, think like a millennial. Or better yet, hire a millennial. No one understands millennials better than millennials themselves. Meet us on the interfaces and platforms we're using, not the ones that the wine industry has used in the past. 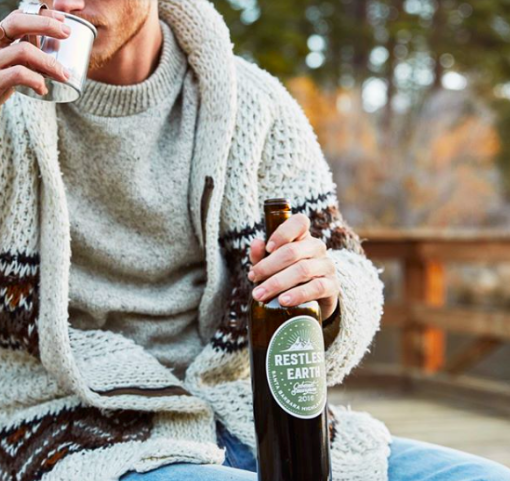 Instagram again: The wine industry prides itself on creating products with stories and connections that feel very personal to consumers. Instagram allows wineries to communicate directly with the people who buy and consume their products, and that’s about as personal as it gets. I genuinely believe that Instagram is the most untapped marketing resource of the wine industry, and the lack of brands who are active on it is astonishing. There are over 800 million active Instagram users, and more than 50% of them are millennials (aged 22 to 37). You don't have to have a huge budget. You just have to be present. Post, comment and engage daily. Give your customers a platform to learn more about your products while creating a community. LIfestyle websites are like our modern day newspapers and magazines. These include Brit + Co, BuzzFeed, Popsugar, Mashable, Business Insider, Refinery29 and many more. This is where millennials stay up to date on world events, learn about new products, discover trends, and share information. It’s how we digitally "hang out." Get your brands on these platforms. Send samples to the teams at Vinepair and Bustle. Pay for an advertisement on Thrillist. Have Elite Daily do a write up on you. Take out ads in Cosmopolitan, GQ or Vogue instead of the usual wine print outlets. For wine businesses, they’re a bit like the Holy Grail. Hard to pin down but oh, so appealing. We all want to know how they’re behaving around wine and what they’re thinking. Next week, in Bordeaux, I’ve got a very unique chance to pick a whole bunch of their brains. As in, 90 of them, many from wine families around the world, who are all enrolled in the MBA program at the INSEEC Wine & Spirits Institute. This is the next generation of decision-makers at wine companies globally. They are already consumers, and they are already planning to be leaders within their organizations. It’s my job to teach them about data, and the influence it can bear on their strategic decisions for the future. Not only is this a chance to observe millennial thinking about wine; it’s also a chance to observe millennial thinking about data. What’s the best way to go about this task? We’ve created a data set, naturally. It’s a mix of actual and fictionalized records, and we’ll use it to kick the tires about concepts like operational data versus knowledge of the market, and structured versus unstructured data. Most of all, we want to see how they approach the data set, how they analyze it, how they describe the insights they could derive from it, and which external sources they think can also be applicable. I’m there to teach, but I’m also very much there to learn. Ultimately, we’ll be turning those learnings back into something useful for you. If there’s anything you’re particularly curious to ask this group, by all means let me know. I’ve got my (long) list of questions. A few more certainly won’t hurt. I’m looking forward to reporting back.